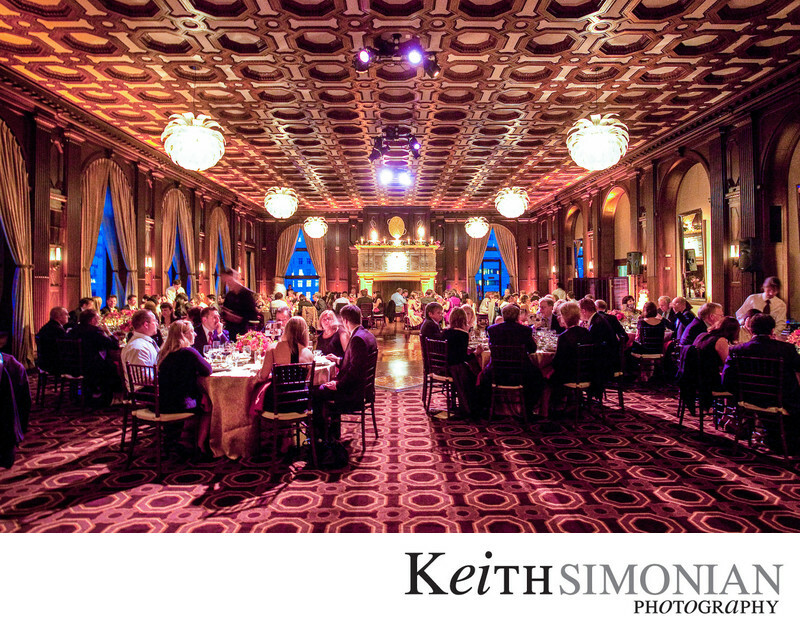 The guests are seated and ready to eat dinner at the wedding reception to take place at the Julia Morgan Ballroom in San Francisco, CA. The late evening light outside casts a blue shade on the windows while the tungsten light inside creates the dramatic lighting. Location: The Julia Morgan Ballroom 465 California St San Francisco, CA 94104. 1/5; f/4.5; ISO 3200; 17.0 mm.